Top Frontier Investment Holdings, Inc. (“Top Frontier”) is a Philippine corporation organized and registered with the Securities and Exchange Commission (“SEC”) on March 11, 2008 as a holding company. The registered office address of Top Frontier is at the 5th Floor, ENZO Building, 399 Sen. Gil J. Puyat Avenue, Makati City, Philippines. On January 13, 2014, Top Frontier’s entire issued common shares comprising 490,196,200 common shares were listed on the Main Board of the Philippine Stock Exchange, Inc. (“PSE”), following the registration thereof with the SEC and the approval of the application for the listing by way of introduction of the aforesaid shares with the PSE. Top Frontier is the largest shareholder of San Miguel Corporation (“SMC”) in which it holds 66% of SMC’s total outstanding common stock. SMC is engaged in various businesses, including beverage, food, packaging, energy, fuel and oil, infrastructure and real estate property management and development.On August 30, 2013, Top Frontier acquired 100% of the outstanding common stock of Clariden Holdings, Inc., a holding company with interests in exploration, mining and development through its subsidiaries. Please read this Privacy Statement carefully to understand how we treat Personal Data. Should you have any questions and/or concerns regarding this Privacy Statement, Top Frontier Investment Holdings, Inc.'s use of your Personal Data and the Collected Data, or your rights in relation thereto under the Data Privacy Act of 2012, you may send an e-mail to the Top Frontier Investment Holdings, Inc. Data Protection Officer at dpo@topfrontier.com.ph. Established in 1890 as a single-product brewery, San Miguel Corporation (San Miguel) is the Philippines' largest beverage, food and packaging company. Today, the company has over 100 facilities in the Philippines, Southeast Asia, and China. 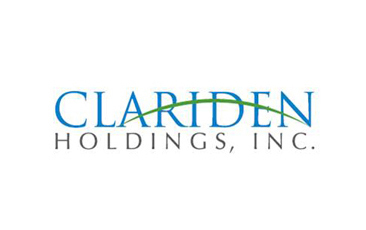 Clariden is a holding company incorporated in July 2009. It was acquired by TF as a wholly owned subsidiary in August 2013.